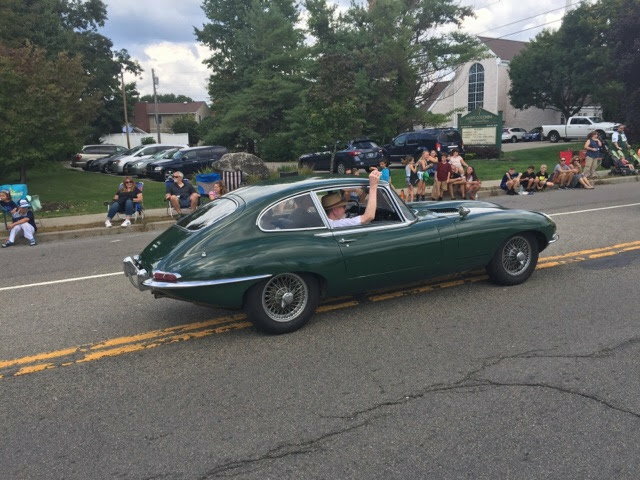 I have been working on restoring my father's 1967 e type for the past couple of years and have a question on toggle switches on the dash. The low photo shows the dash switches. Are these all standard and what / why were they used? I only see one photo, the car ! right hand switch controls fuel pump. confirmed. center toggle controls an aux fan which can be used to cool the engine (installed when an after market a/c unit was installed which has since been removed). I have not been able to sort out the last one. It does seem a pity, those extra holes were added in what might be a difficult panel to find. shut off the fuel pump !!!! for instance when the car won't start because the carbs are flooded and gas is being continually pumped you have the potential for a FIRE ! so having a switch to shut off the fuel pump is always a good idea. that the removed switches occupied. You can get dash panels on eBay (I bought an entire dash and had it powder coated myself). I think the center panel cost me something like $100 so it wasn't bad. 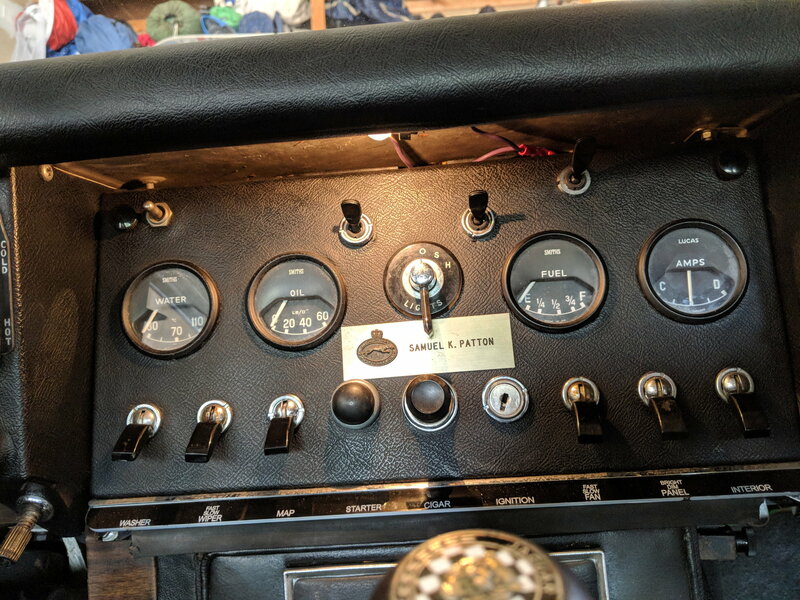 Agree on the fuel pump switch, that is a great ideal. Toggle switch for electric choke a must! Can you toggle off the odometer reading?